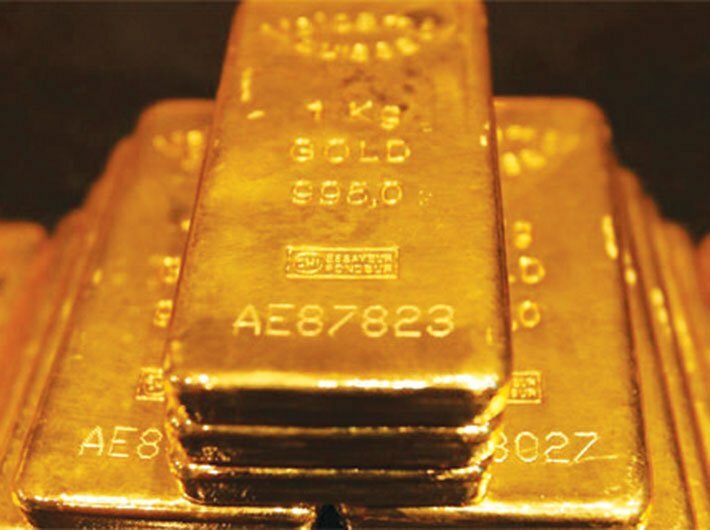 The Reserve Bank holds 557.77 tonnes of gold; of which, 265.49 tonnes are held overseas in safe custody with the Bank of England and the Bank for International Settlements (BIS). An RBI report on foreign exchange reserves said that gold as a share of the total foreign exchange reserves in value terms (USD) stood at about 5.37 percent as at end-March, 2017. The foreign exchange reserves stood at $372.0 billion as at end-September 2016. During the half year under review, reserves decreased to $366.2 billion as at end-October 2016, and to $361.1 billion as at end-November 2016. Reserves further declined to $358.9 billion as at end-December 2016. Subsequent months witnessed an increase in the reserves, which stood at $362.9 billion as at end-January 2017, $364.2 billion as at end-February 2017, and $369.9 billion as at end of March 2017. The foreign currency assets comprise multi-currency assets that are held in multi-asset portfolios as per the existing norms, which are similar to the best international practices followed in this regard. “As at end-March 2017 out of the total foreign currency assets of $346.32 billion, $212.9 billion was invested in securities, $107.22 billion was deposited with other central banks, the BIS (Bank for International Settlements) and the International Monetary Fund (IMF) and remaining $26.2 billion comprised deposits with overseas branches of commercial banks,” said the report. The broad strategy for reserve management including currency composition and investment policy is decided in consultation with the Government of India. The risk management functions are aimed at ensuring development of sound governance structure in line with the best international practices, improved accountability, a culture of risk awareness across all operations, efficient allocation of resources and development of in-house skills and expertise. The Reserve Bank is sensitive to the credit risk it faces on the investment of foreign exchange reserves in the international markets. The Reserve Bank's investments in bonds/treasury bills represent debt obligations of highly rated sovereigns, central banks and supranational entities. Further, deposits are placed with central banks, the BIS and overseas branches of commercial banks. “RBI has framed requisite guidelines for selection of issuers/ counterparties with a view to enhancing the safety and liquidity aspects of the reserves. The Reserve Bank continues to apply stringent criteria for selection of counterparties. Credit exposure vis-à-vis sanctioned limit in respect of approved counterparties is monitored continuously. Developments regarding counterparties are constantly under watch. The basic objective of such an on-going exercise is to assess whether any counterparty's credit quality is under potential threat,” said the report.